Former Barcelona manager Pep Guardiola has become a household name among most quarters of the world with some breathtaking football that has seen him win top honours. Interestingly, many talented players would love the prospect of playing under the Spaniard, and the current Manchester City boss has once again gone to show what he attracts as a manager. 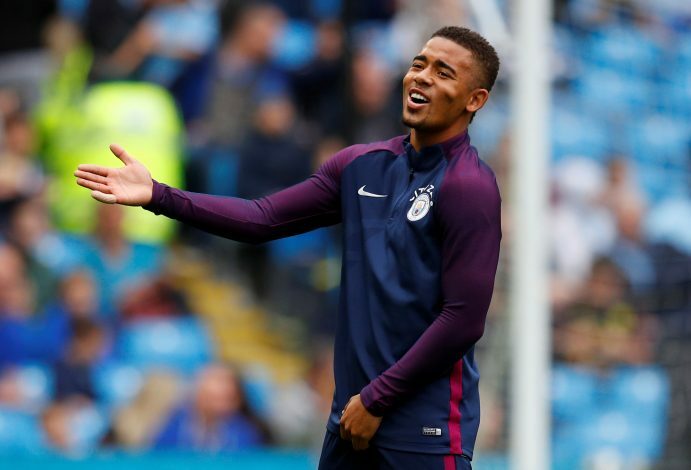 Brazilian striker Gabriel Jesus has revealed that it was Pep that got him to sign for the English club despite having many offers on the table. Out of these offers, there was a prospect of joining Manchester United too, but the youngster opted to join City. The 20-year-old has stated that a chat with the legendary coach saw him choose City. And since his move to the club, Jesus has thrilled everybody with the swiftness and scoring intelligence on offer. He has been phenomenal for the club, and has already netted 8 goals in the league this season, as City sit atop prettily with a 11-point cushion over the inter-city rivals. The versatile forward revealed to Players’ Tribune how Pep convinced him to come to Manchester and be an important part of the Sky Blues’ future. “I had a few offers to go to other clubs, and warmer places, but for me, the decision to come to Manchester City was all about playing under Pep Guardiola,” said the Brazilian sensation. Jesus will hope everything goes on as per the script, and he enjoys a lot of success at the Etihad outfit.